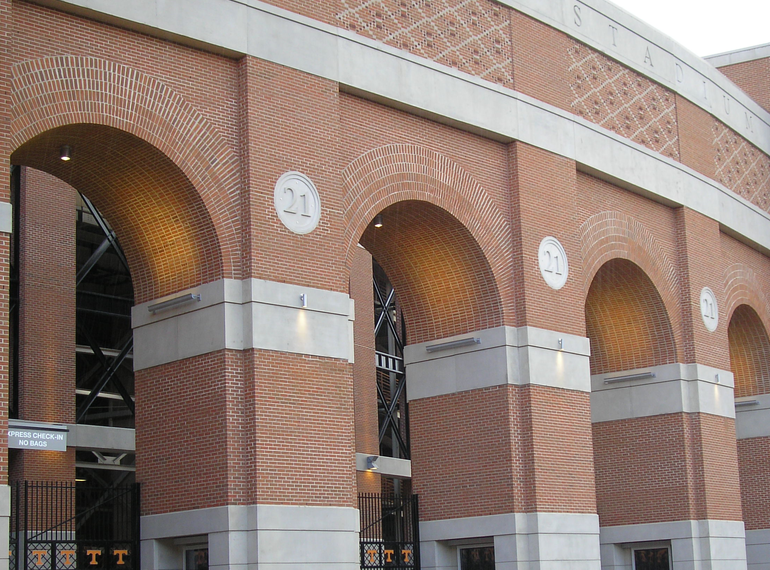 Neyland Stadium in Knoxville, Tennessee is home to the Volunteers football, the team for the University of Tennessee. In 2010 an investment of $ 83 Million was made in the current stadium to add 422 club seats as well as 1,782 priority seats. 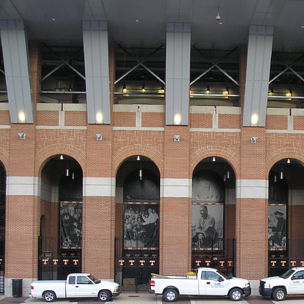 With this expansion Neyland stadium is the 8th biggest stadium in the world with a total of 102,455 seats. During construction HALFEN was called upon for engineered concealed lintel support solutions for the 22 brick arches with spans ranging from 9’ 1” to 16’ 8” (2.8 to 5.1 m) and soffit depths of 3’ 0” to 23’ 4” (0.9 to 7.1 m). Each condition uses HALFEN’s channel and bracket design working in concert with the project’s structural elements to support clean brick soffit reveals. These openings offer spectacular views throughout the West Concourse and at Gate 21.